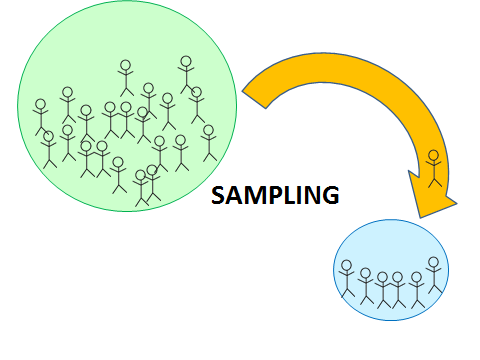 There are two general types of sampling that are considered to be acceptable, direct surface sampling (swab method) and indirect sampling (use of rinse solutions). A combination of the two methods is generally the most desirable, particularly in circumstances where accessibility of equipment parts can mitigate against direct surface sampling. Areas hardest to clean and which are reasonably accessible can be evaluated by direct sampling method, leading to establishing a level of contamination or residue per given surface area. Additionally, residues that are “dried out” or are insoluble can be sampled by physical removal. The suitability of the material to be used for sampling and of the sampling medium should be determined. The ability to recover a sample accurately may be affected by the choice of sampling material. It is important to assure that the sampling medium and solvent (used for extraction from the medium) are satisfactory and can be readily used. Rinse samples allow sampling of a large surface area and of inaccessible systems or ones that cannot be routinely disassembled. However consideration should be given to the fact that the residue or contaminant may be insoluble or may be physically occluded in the equipment. A direct measurement of the residue or contaminant in the relevant solvent should be made when rinse samples are used to validate the cleaning process. Indirect testing such as conductivity and TOC testing may be of some value for routine monitoring once a cleaning process has been validated. This could be applicable to reactors or centrifuge and piping between such large equipment can be sampled only using rinse solution samples. If the placebo method is used to validate the cleaning process then it should be used in conjunction with rinse and/or swab samples. It is difficult to provide assurance that the contaminate will be uniformly dispersed throughout the system or that it would be worn off the equipment surface uniformly. Additionally, if the contaminant or residue is of large enough particle size, it may not be uniformly dispersed in the placebo. Finally, the analytical power of the assay may be greatly reduced by dilution of the contaminant. It is important to use visual inspection in addition to analytical methodology to ensure the process is acceptable. When detergents are used in the cleaning process, their composition should be known to the user and their removal should be demonstrated. The manufacturer should ensure that they are notified by the detergent supplier of any changes in the formulation of the detergent. Detergents should be easily removable, being used to facilitate the cleaning during the cleaning process. Acceptable limits should be defined for detergent residues after cleaning. The possibility of detergent breakdown should also be considered when validating cleaning procedures. Water for injection should be used as the last rinse for product-contact equipment to be utilized in the fabrication of sterile products. Purified water is considered acceptable as the last rinse for product-contact equipment used in the fabrication of non-sterile products or sterile products for ophthalmic use. Note: Because of the presence of varying levels of organic and inorganic residues as well as of chlorine, tap water should not be used in the last rinse of any cleaning procedure for product-contact equipment.